The U.S. Department of Veterans Affairs holds “Stand Downs” throughout the country to address the problems of homeless vets. Stand Downs are one- to three-day events coordinated among local VA Medical Centers, other government agencies and community-based homeless services providers. The object of the Stand Down is to gather homeless vets from a particular area, provide much-needed supplies, deliver vital services, and counsel veterans on how to access benefits. 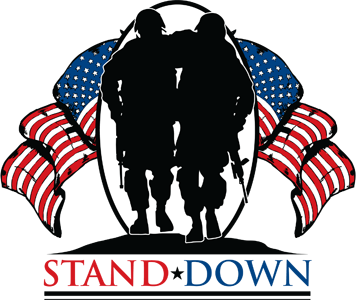 Stand Downs strive to address a wide range of issues, from the bare subsistence needs of food, shelter and clothing, to referrals for healthcare, employment, substance abuse treatment and mental health counseling. November 6, 2015 in Columbia, SC: Contact Cynthia Davis at 803.776.4000, x7034 or Shirley Furtick at 803.776.4000, x4348. Homelessness among veterans is a stain on our national honor. We applaud the VA’s increased focus on this issue, but the problem is too large for the beleaguered government agency to manage alone. We urge you to support the VA’s efforts to reach out to veterans who are living on the streets or in shelters. There are serious logistical challenges to reaching out to the homeless population, so community support is critical. At Marcari, Russotto, Spencer & Balaban, we are dedicated to getting veterans the benefits they deserve. If we can be of assistance to you or your loved one, call us at 866-866-VETS or contact our veterans’ benefits law firm online.